A few weeks back, we were led through a series of reflections on Creative Protests in the City by our friend David Clark, the pastor of the Steeple Church in Dundee, Scotland. He began by talking about the Occupy Movement and how it touched his city of Dundee. Rather than ignoring or bad-talking the movement – which sadly has been the response of many Christians – David Clark went out and spoke with them and asked them about their concerns. This wasn’t very difficult as they were camping next to the church property. He was able to identify the concerns that they shared and discussed ways in which they could respond together. This really challenged our community to start to think about our participation in the city and the church’s task of prophetic engagement. 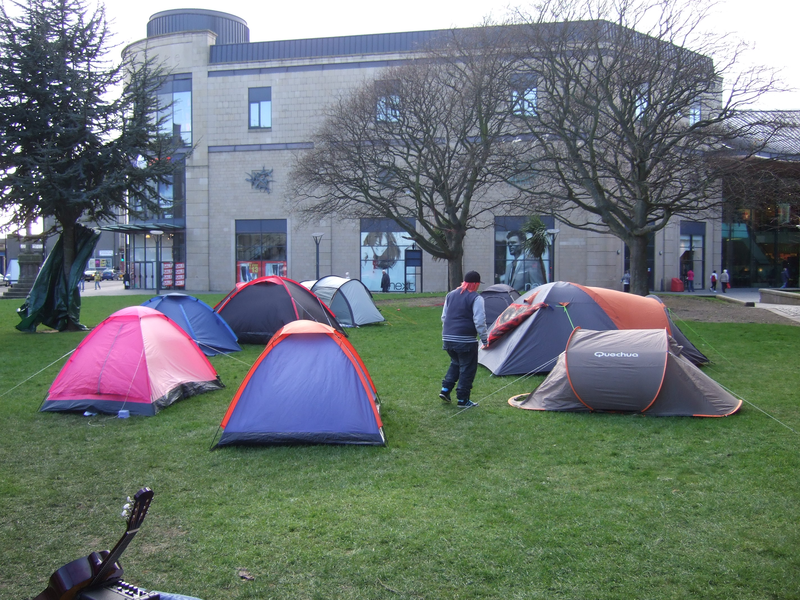 “The three big problems in Dundee are homelessness, disaffected youth, and economic instability.” Alessandro (Leader of Occupy Dundee). What would the citizens of Galati say are the top three problems in their city? What do we mean by ‘presence of God’? How should Christian communities (churches +) make more visible the ‘presence of God’ in the city? What do you observe are the consequences of the present recession in Galati?